LOS ANGELES — 'It' is a hit. The Stephen King adaptation from New Line and Warner Bros. shattered records over the weekend, earning $117.2 million from 4,103 locations, according to studio estimates on Sunday. Not only has "It" had the largest opening for a horror movie and the largest September opening of all time, but the film also more than doubled the earnings of the previous record holders. Before this weekend, "Paranormal Activity 3" had the biggest horror opening, with $52.6 million in 2011, and the highest September debut was that of "Hotel Transylvania 2," with $48.5 million in 2015. "We blew past everyone's most optimistic and aggressive projections, and I think there might be room for us to grow this weekend even still," said Jeff Goldstein, Warner Bros.' president of domestic distribution. Goldstein said he was conservative with Sunday projections because of the confounding factors of the film's R-rating, the popularity of late-night showings, the beginning of football season and Hurricane Irma. Regardless of whether there is an uptick when final numbers are reported Monday, "It's" success is still astounding, especially considering that the project from director Andy Muschietti cost only $35 million to produce. Critics and audiences were on the same page, too. The film has a "fresh" 86 percent Rotten Tomatoes score, and audiences, who were 65 percent over age 25, gave "It" a B+ CinemaScore. Starring Bill Skarsgard as the homicidal clown Pennywise, "It" is the first of a planned two-part series. The second movie is slated to come out in the third quarter of 2019. "It starts with a brilliant story from Stephen King," Goldstein said of the stellar performance. "The director made a fabulously compelling movie. Our marketing just nailed it, and the date was special." Indeed, the date proved key. With no discernible competition, save for the counter-programmed opening of the Reese Witherspoon romantic comedy "Home Again" — which came in a very distant second with $9 million — "It" was able to dominate screens and show times at major theaters. "I don't think anyone could have imagined an opening over $100 million for this movie," said Paul Dergarabedian, a senior media analyst for comScore. "Suddenly, September is on the map with its first $100 million debut. Every month of the year is a potential hit-maker, and this is really good news for an industry that for the last six weeks has been in the doldrums." The success of "It" comes after an underperforming summer movie going season that left the year-to-date box office down by 6.5 percent from last year. Now, with the "It" factor, the year is down by only 5.5 percent. "It's a cyclical business. One day it's Chicken Little, and the next it's bright sunny days ahead," Dergarabedian said. "September will be the August we wish we had. We could be looking at a record-breaking month after an abysmal summer." 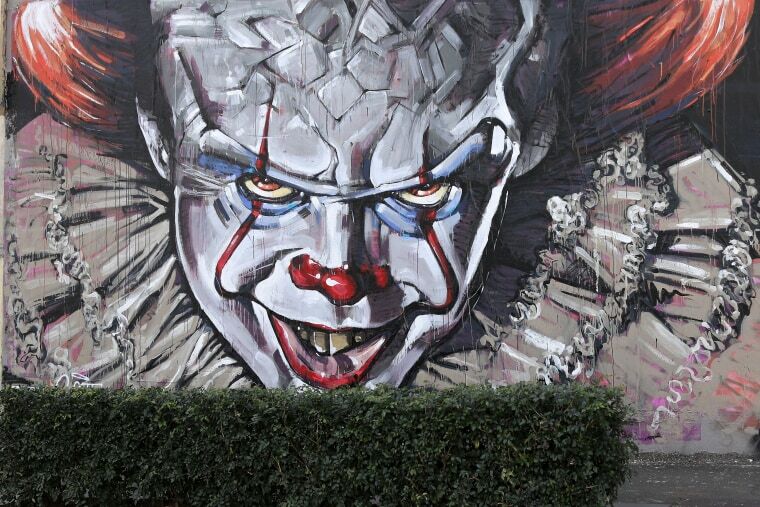 "It," $117.2 million ($62 million international). "Home Again," $9 million ($955,000 international). "The Hitman's Bodyguard," $4.9 million ($7.9 million international). "Annabelle: Creation," $4 million ($8.6 million international). "Wind River," $3.2 million ($1.2 million international). "Spider-Man: Homecoming," $2 million ($71.8 million international). 8. "Dunkirk," $2 million ($13.5 million international). "Logan Lucky," $1.8 million ($1.7 million international). "The Emoji Movie," $1.1 million ($5.7 million international).